The Three Marks of Existence is important in Buddhism, because it means we start to see things, situations as they really are. Everything is impermanent, suffering is a part of existence (for living things anyway), and nothing exists in and of itself, without dependencies. The three marks of existence is not an idea or theory you have to believe in. Rather it is a way to explore yourself and everything around you. Everything is impermanent. Everything! Everything from micro organisms to the universe itself. Relationships are impermanent. Ideas and opinions are impermanent, cities and roads, the ideal job or career, and yes, even you. When most people here this, they say, well I know all that! The problem is we do know it, yet we cling to things as though they are permanent, because we want them to last, at least during our lifetime. Some things are longer lasting than other things. But if we truly grasp impermanence, then the less we cling to outcomes and expectations. We are then not as horrified when a relationship ends, a job is lost, or when people die. That is not to say those situations are suddenly easy, but our recovery from suffering can go more smoothly when we see everything as it really is, than if we cling to it because we want it to last forever. Impermanence is the first and only one of the three marks of existence that is inherent in the natural world. Start exploring impermanence. Find the areas you cling to because you expect a situation, relationship, or thing to last. Explore how your view of impermanence in certain areas affect how to cling to desired outcomes or expectations. What happens if you recognize that everything is impermanent? Some also call this egolessness, but there is actually more to it than ego. The Buddhist teachings of not self ask us to explore the reality of objects and ourselves in depth like no other teaching. Nothing that exists, including you, exists in and of itself, without dependencies, and as a single, permanent thing. Everything is actually a collection that we have labeled as a certain thing, and you may tend to think of yourself as “this is who I am.” The problem with that is that it’s not true. Again, this is not a theory, not a belief. Explore it! Everything about you is in constant change from the trillions of cells that make up your body, to the multitude of processes that create thoughts, emotions, reactions, opinions, and beliefs. You aren’t a static object, but a work in progress, full of processes. Even rocks are made up millions of granules of different types of minerals that go through changes through weathering, heat, pressure, and end up eventually a completely different kind of rock. Why does any of this matter? Because it’s important that you investigate how everything changes, how we apply stereotypes to ourselves and people that are not only inaccurate, but cause us to create unrealistic expectations of people and things. When you start to see how you aren’t a solid, unchanging self, but a impermanent, dynamic person, you also loosen your clinging to thoughts, ideas, emotions, and the idea of a “real you”. Your interaction in the world becomes more fluid, dynamic, and responsive rather than reactive, clinging to static idea. Again this is not a concept to be believed. It’s to be explored, during meditation, throughout your daily life. It’s a challenging area of practice in the beginning, but as you start to see these processes at work in yourself, you also realize others are like this. Change becomes the norm, rather than an unpleasant surprise, and the impermanence of everything becomes even more obvious. This is not a magical state of seeing, but simply observing the dependencies everything has along with the multitude of processes at work. Buddha never said you don’t have a self. What he said was your body is not self, your emotions are not self, your thoughts are not self, and on and on. Why? Because all of these are in constant change, coming and going throughout the day. Neuroscience also notes that the brain does not have a central driver, that there isn’t a You in the brain looking out at the world. Instead, the brain gives rise to thoughts, feelings, emotions, reactions, etc. that go into the creation of a feeling of self. This feeling of self rises off and on throughout the day. When you start observing how this process works, it’s amazing and freeing. You no longer need to cling to an image of yourself, because it becomes obvious that is just a mental picture that is also subject to change and impermanence. Not self can be confusing and overwhelming. In the beginning if you feel put off or disturbed by it, focus on the first two marks of existence instead. Not self rolls out of this practice over time. You don’t need to twist your brain into a pretzel trying to understand it. And most importantly, again, it’s not a magical state of being. It’s not a higher state of consciousness. It’s simply observable when you really start paying attention. It’s the misconception of self as something permanent, a thing we cling to, that ends up leading us to suffering in a multitude of ways. Because we exist, we also suffer. Many of us spend a lot of time trying to avoid suffering, trying to push it away and not experience it. We don’t want to suffer and we don’t want others to suffer. So, instead of studying suffering closely, understanding that it is a part of life, we try to avoid it, to push it away. In doing that, we actually create more suffering for ourselves. In Buddhism, we are asked to take pause, notice suffering when it arises in ourselves, when we observe it others. Stop running. Understand that others, like you, also suffer. When we start exploring what suffering is from physical pain to disappointment, from anger to boredom, from depression to grief, we also see the many ways we worsen our suffering mentally, how aversion to it is actually a form of clinging to suffering, and just seeing it for what it is lessens it. Start observing the many ways you suffer. Realize that others suffer as well, and instead of trying to avoid it or escape from it, see how compassion can arise for yourself and others. Suffering is not just something to observe, but something to explore. Sit with your sadness or your anger, observe how the feeling moves around in the body or settles in one place. Observe yourself and how you react to various forms of suffering, how you respond to other people when they suffering. If you want to explore the above, I encourage you to do the Weekly Practice exercises. Give each lesson as many weeks as you need though. 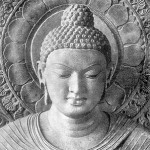 This article is part of the New to Secular Buddhism section of SBA.